WOW! OVER 1.08 ACRES OF PRIME COMMERCIAL VACANT PROPERTY FOR SALE! TREMENDOUS POTENTIAL AND RIGHT IN THE MIDDLE OF GOLD CANYON! HERE IS YOUR OPPORTUNITY TO OPEN YOUR INCOME PRODUCING DREAM YOU HAVE ALWAYS WANTED! THERE ARE TWO LOTS, BOTH OVER 1/2 ACRE. ELECTRICITY AND SEWER ON SITE AND WATER CLOSE BY. 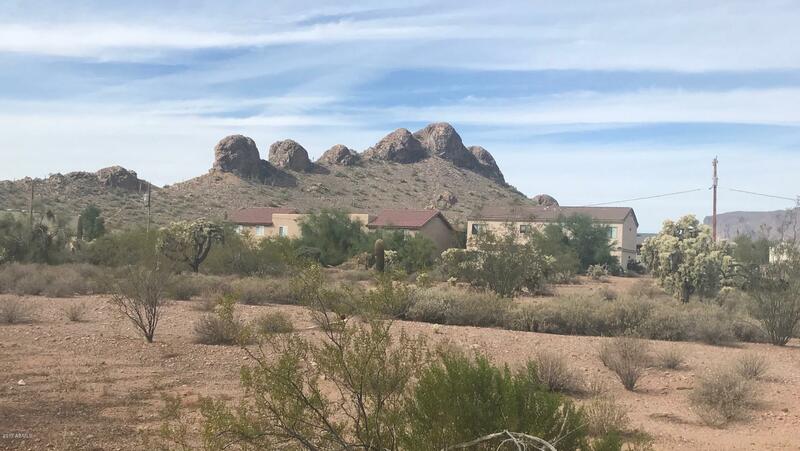 ZONED CB2 - GENERAL BUSINESS WITH A MYRIAD OF CHOICES AND LOCATED ON SOUTH KINGS RANCH ROAD WITH INCREDIBLE SUPERSTITION AND DINOSAUR MOUNTAIN VIEWS! YET PRICED SUBSTANTIALLY LESS THEN OTHER NEARBY PARCELS! LOTS TO BE SOLD TOGETHER ONLY FOR THE LOW PRICE OF $129,950. FINAL APPROVAL OF COMBINED LOTS BY PINAL COUNTY DUE BY MAY 1ST, 2019. BUYER TO VERIFY ALL INFORMATION.